Perfect home for a busy life, centrally located and room for everyone, inside and out! The master suite with private lanai has been added onto this 1.5 story home with basement with 2 utility rooms! The kitchen features concrete counter tops and an open concept, easy for entertaining. Living room has a wood burning fireplace. 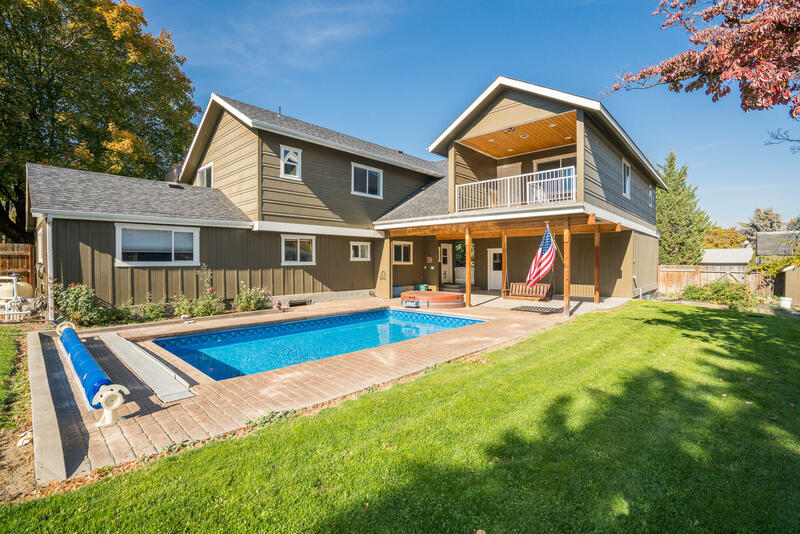 Huge outdoor spaces including a living area, in ground pool, hot tub and fenced back and side yards. Exterior paint is new and RV parking too! © 2019 North Central Washington Multiple Listing Service. All rights reserved. Information deemed to be reliable but not guaranteed. The data relating to real estate for sale on this website comes in part from the Broker Reciprocitysm Program. Real estate listings held by brokerage firms other than are marked with the BR logo and detailed information about them includes the name of the listing brokers. Listing broker has attempted to offer accurate data, but buyers are advised to confirm all items. Information last updated on 2019-04-19.